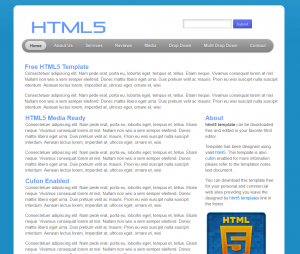 Forum user stonerocket posted a thread in the showroom about the release of a new free html5/css3 template. It is a basic layout with a horizontal multi-level dropdown menu. The template validates as html5, but the code does not contain any html5-specific tags so it is easy to edit for anyone familiar with XHTML. Download and demo links are available in the first post of the forum thread: Free HTML5 Template by stonerocket. I want the theme to blogger? I and Turkey for the site, in studies relating to human rights, a group representing the injustices suffered. Our site is very important that the functioning and can be found on the Internet. How you can help in this regard.